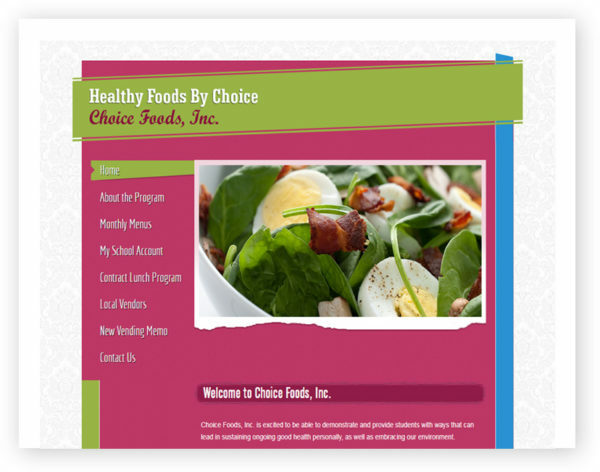 Choice Foods, Inc. is excited to be able to demonstrate and provide students with ways that can lead in sustaining ongoing good health personally, as well as embracing our environment. We are responsible for providing the highest quality and nutritious food service to the client. Our passion for this is represented in our menus and food service philosophy.